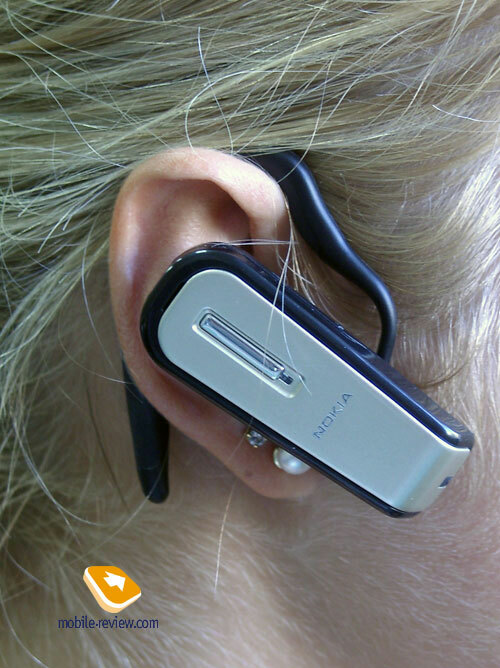 It’s hard to imagine a better office-fitting headset than this Nokia BH-600. At first, I should mention that it was developed «in cooperation» with another brand - Jabra - so it’s likely to be nothing more, but a redesigned model for Nokia. However there is nothing special about that since many large companies release ODM-units, the good thing is that the BH600 differs from Jabra-branded headsets in design and looks similar to them only when it comes to a few parts of the casing. But first things first. The headset design literally cries out for a suit, a shirt and a tie, so that saying it has an austere is equal to being silent. 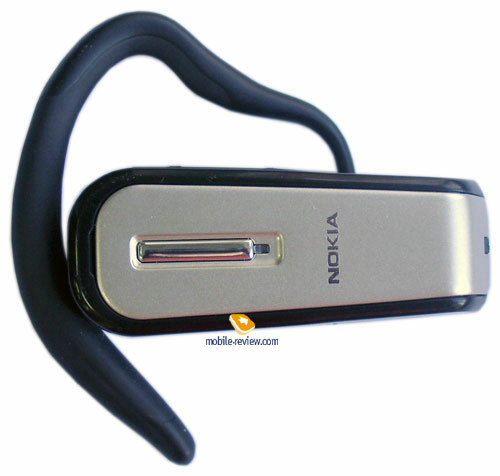 As a matter of fact if we are to go even further, and say that Nokia BH900 would be a good headset for a top-manager, whereas Nokia BH600 would fit an “ordinary” manger for use with a company-granted handset and Skype. The BH600 matches the E-series best, or, in other words, the “enterprise handsets”, as they are similar in grey color scheme picked as the base one for design, deliberate angularity and lack of any trinkets. Pure business and nothing else. Frankly speaking, I wouldn’t be much surprised to find the BH600 packed in boxes with E-series headsets, as that would be quite adequate and increase their communication prowess above all other things. During the work-hours the manager could use the headset for talks on the office handset and for IP-telephony, while in the evening he would be free to pair it with his personal phone. On top of that the BH600 provides good speech transfer quality; however that point will be discussed a bit later. As you can see it on the photos the earhook mounting is similar to that found on Jabra-branded handsets and personally the ear loop itself it pretty much familiar to me. The earhook is partly made of plastic, keeping it shaped, and this is truly convenient, since you can bend it the way you need once and just forget about manipulating it ever again. 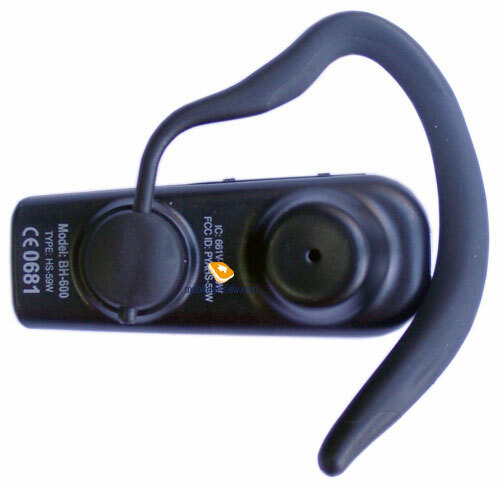 The BH600 does grasp at ears, but it’s not a sporty headset – even though it won’t fall down when you are having a run, but the hook mounting isn’t firm enough, so that the headset might end up changing its position and hitting your head, which doesn’t hurt much, actually, but is unpleasant. To reconfigure the ear band for wearing on your left ear, all you have got to do is revolve the hook on its axis. At that the controls are «moving» downwards as well. Build quality leaves a favorable impression, as the casing doesn’t expose any accidental gaps, cracks, and nothing creaks if you squeeze it. The headset looks quite authentic on head, though it is definitely not the most portable device available - I shall repeat it one more time that combined with a businessman’s uniform it completes the image of successful manager, like a good pen or a paper-case. Keep in mind that the BH600 is rather a tool for communication than an accessory. The controls bring nothing new to the table – a multifunction button (pick/hang up, pairing mode, last number redial, switching between active calls) and a volume control button. The keys are quite handy and will hardly cause any hardships. The LED mounted on the front side doesn’t spoil the BH600’s looks at all. It will take you only a couple of minutes to master this headset’s controls layout and manage them blindfolded. The headset retains a 125 mAh Li-Pol battery, which according to the manufacturer’s statement, manages to offer talk and standby times of 7 and 170 hours respectively. The claimed specifications are close to real figures - the charge went off after two and a half days of operation, at one hour of calls, an hour of Skype use and thirty minutes of music playback. The performance isn’t bad at all – should you be easy on the BH600, the lifetime will increase up to three-four days. 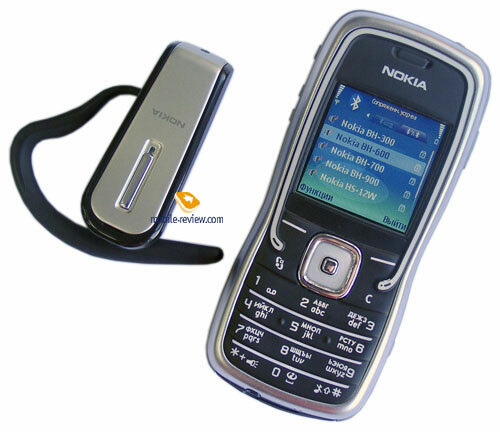 The device retains a «slim» charger slot, so the owners of Nokia-branded handsets with similar sockets will be able to use the same charger. 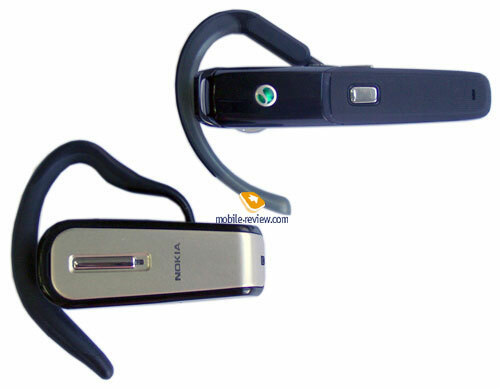 The headset was tested out in a pair with Nokia 5500. To connect the devices you need to push and hold the multifunction button, and then enter PIN-code (four zeros). A curious fact is that the handset gave the headset somewhat “cold welcome” - the BH-900 and the BH-700 got paired up much speedier. The DSP-processor embedded in the headset operates perfectly – when I was 5 cm away from a notebook playing back music at full blast (it was loud – trust me), the man on the other end still could make out my words – hardly, though, but he understood everything I said. In office environment the device provides good or even perfect speech transfer quality, those on the other end can’t even tell that you are using not a handset for talking, which is that’s quite something. However it’s always hard to praise, that is why we are winding up our story on the BH600’s quality and give it a high mark for connection quality. First of all I’d recommend the BH600 to those in charge of buying up equipment for company, and arming personnel with the latest-and-greatest gadgets. As a rule such trends pop up in Russia either when a company has just been established and nobody keeps count of «start-up» money, or when a company starts realizing the necessity of enhancing communication for optimization of certain business activities and gets a corresponding entry into the budget. Also the BH600 will be fit for the ones looking for an unsophisticated, inexpensive headset with good sound performance and indifferent to curvy designs - in my mind these are likely to be men at the age of 37 and older who know about the freedom of wireless connectivity from own experience and realize what they want to gain. I can hardly image the BH600 on a woman’s ear, though. The BH600 costs about 60-65 USD in retail networks and in light of this fact, let us take a look at what else we could buy for that much, naturally, we are speaking here about similar solutions. 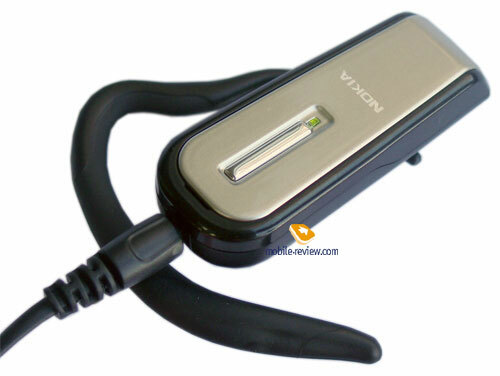 It won’t be a big surprise if Sony Ericsson’s headsets will come to your mind – the HBH-610, and the 610a might be the options on the short-list, as the former product boasts changeable faceplates, slightly better voice transfer quality than the BH600’s and the lifetime almost twice as long.